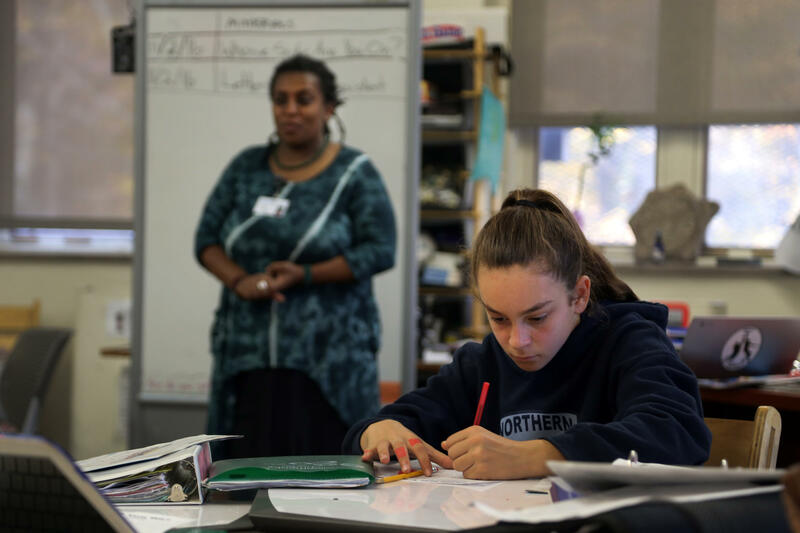 Teacher Michelle King helms a discussion about first amendment freedoms, privacy and voter motivation through the lens of ballot selfies at the Environmental Charter School on Wednesday, Nov. 2, 2016. 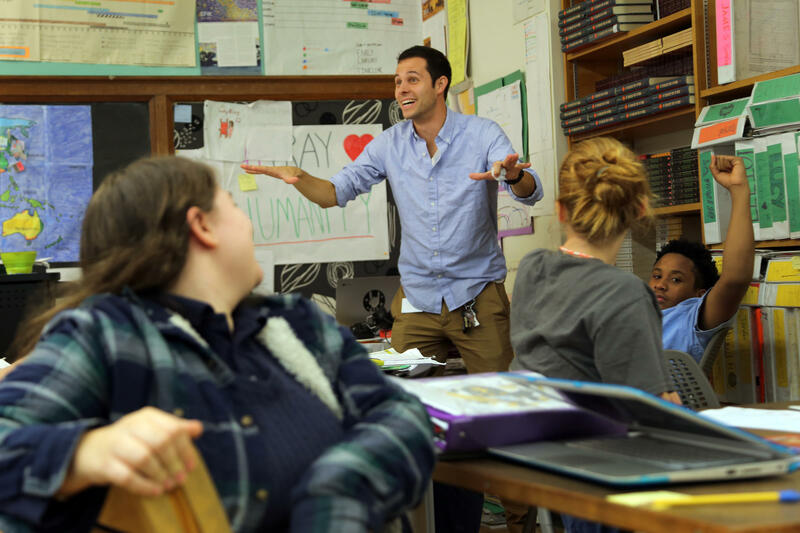 Teacher Nick Kaczmarek encourages teens to embrace the writing process, not just for formal papers but also when outlining their preliminary thoughts. He and fellow teacher Michelle King tag-team current events lessons at the Environmental Charter School. Environmental Charter Upper School thought leader Michelle King tells students to consider both privacy concerns and the psychological effects of seeing friends and loved ones posting ballot selfies during the 2016 presidential contest. Sage Arnold, 13, is not a big fan of this year’s election. 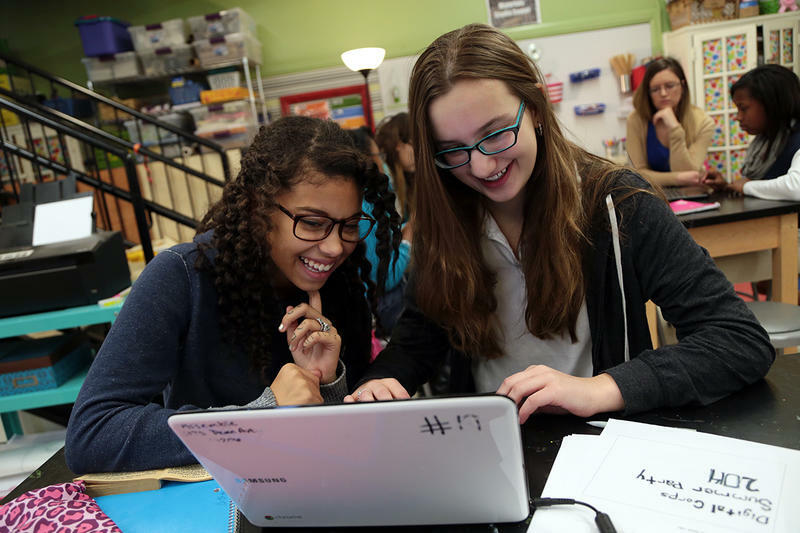 Arnold, and many of his fellow eighth graders at Pittsburgh's Environmental Charter School, said that is not the case with this year’s debates. They’re upset to hear “bickering” between the candidates, Arnold said. Mattias Hanbury, 13, of Highland Park checks his notes during a discussion about ballot selfies during the 2016 presidential election during a morning class at the Environmental Charter School in Regent Square on Tuesday, Nov. 2, 2016. 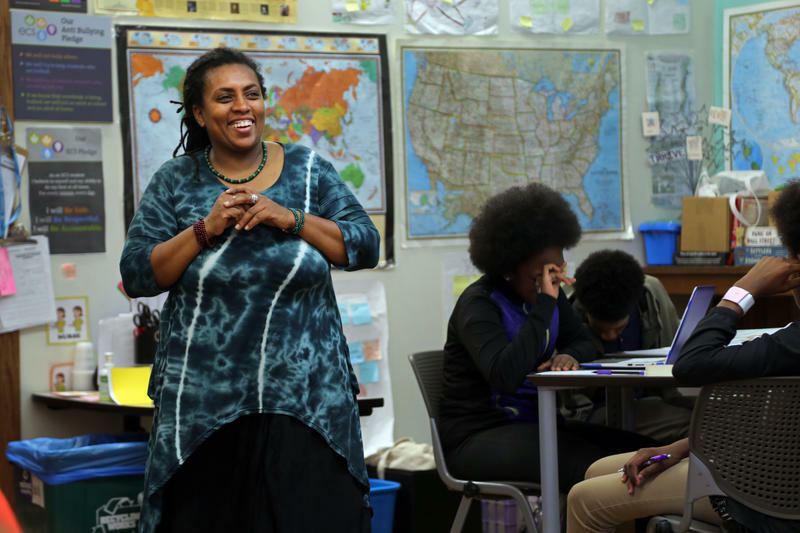 Teacher Michelle King encourages the students to consider several sides of every argument. Do selfies encourage participation? Or are they a violation of privacy? Students like Hanbury hash it out. Elections offer educators ready opportunities to teach government, the electoral process and democracy. But this year’s unique presidential season has made some teachers weary. Not Michelle King and Nick Kaczmarek. 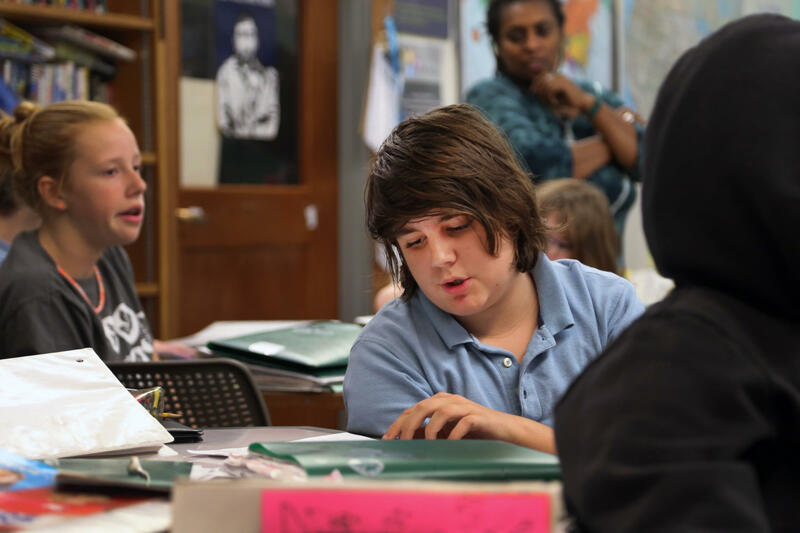 In their diverse homeroom, they emphasize empathy and community. The current election has prompted lessons about finding commonalities amongst one another. “So we want to practice (those) ... discussions, particularly in this contentious election,” King told a class a week and a half before voting day. “Because you will inherit this country to lead, and we can’t expect you to do that work without having practiced it." Assignments have included role-playing around issues of immigration and police brutality, where students have adopted various personas. “What is it like to really sit and hear somebody that has a different opinion than you, like a fundamentally different opinion than you?” said King. Nevaeh Grubb, 13, like most of the class, watched all three presidential debates. She said she had a real problem with the way candidates spoke to one another. Grubb is not a huge Hillary Clinton fan, she said, and had a somewhat nuanced view of Donald Trump. 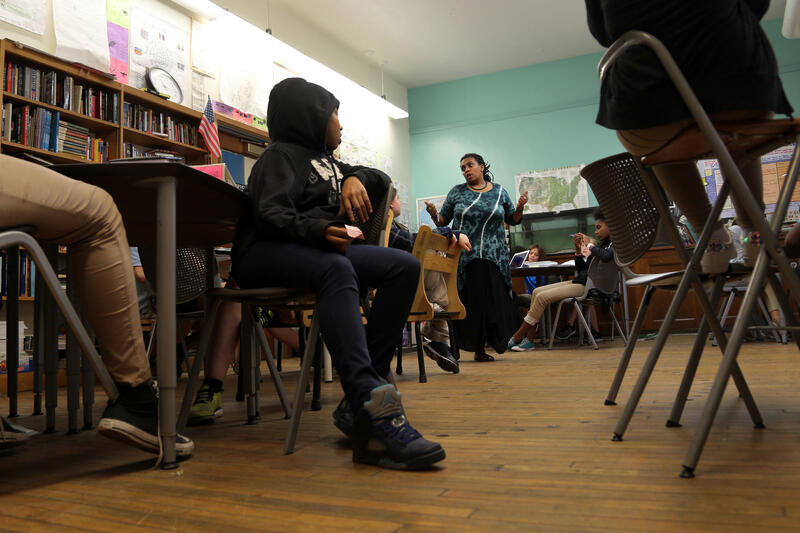 Environmental Charter School teachers Michelle King and Nick Kaczmarek use Tibetan bells, wind chimes and rain sticks to corral middle schoolers mid-conversation. "When I raise my voice or yell, it brings negative energy into the space," King said. 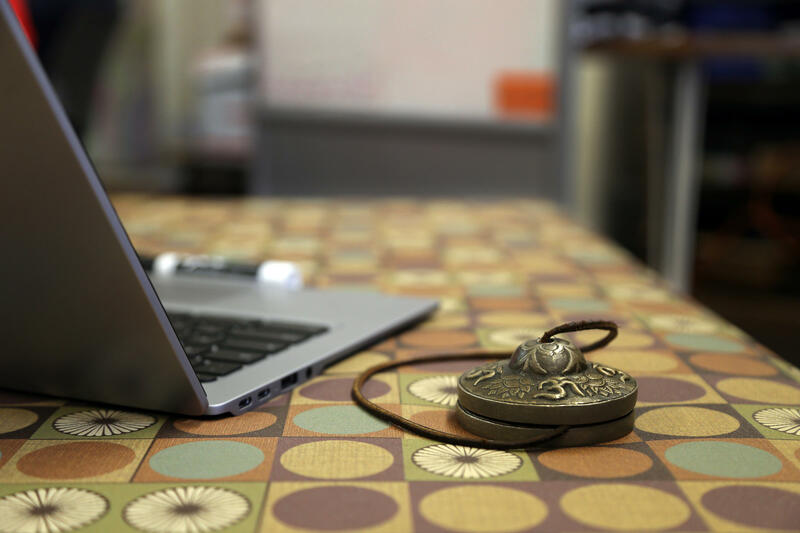 "We use more calming sounds that still rise above their voices, but brings us all back together without disrupting the supportive learning environment we worked so hard to create." She said she’s upset that there have been accounts of racist and anti-Semitic behavior displayed at Trump rallies, and the candidate has not come out strongly against it. King and Kaczmarek's students are taught to take campaign rhetoric seriously, but with the expectation that promises and pandering don't always lead to action. Not so for many other classrooms. A report by the Southern Poverty Law Center looked at the so-called “Trump effect” – that some things said by the Trump campaign are producing a lot of fear and anxiety for students of color. It also found some students have been “emboldened” to use more racial slurs, although none of the students in this class said they’d seen such behavior. But Trump’s rhetoric regarding women is also striking to these students. 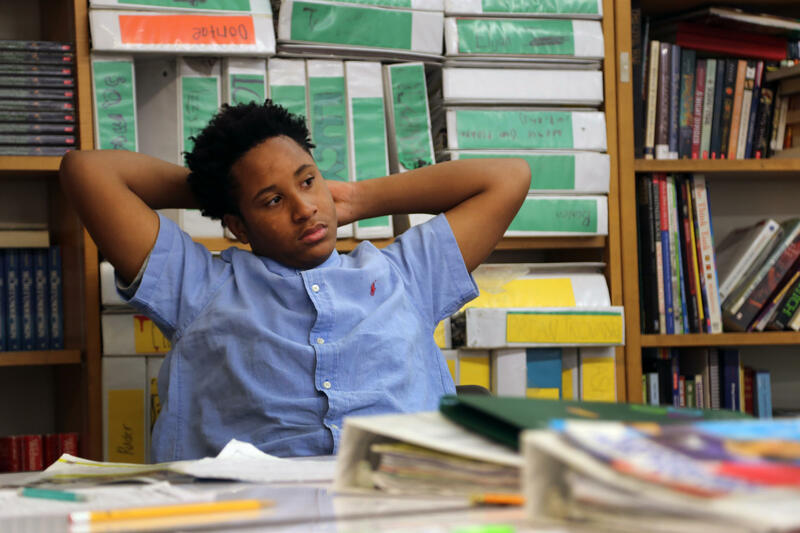 Eighth grader Malik Nicholson, 13, of Penn Hills reclines during a lesson at Environmental Charter School on Wednesday, Nov. 2, 2016. Teachers invited students to address the new American president on their five most pressing concerns. “We all come from homes who have told us how beautiful and important we are, but some people don’t have that,” said Elise Thompson. Classmates Sophie Marsland-McCann, and Cara Burns, all age 13, agreed. They said hearing things like “pig” and “nasty woman” on television from a presidential candidate can validate those negative ideas. Their male classmates worry about the rhetoric, too. Arnold and Henry Hilf, also 13, said they don’t agree with people who defend Trump’s comments. “As a 70-year-old man, he should know better,” said Hilf. Richard Milner, director of the Center for Urban Education at the University of Pittsburgh, said students across the country are struggling with this election. Elections are always challenging because teachers and students have strong beliefs, he said, but this year is different. And when you don’t talk about difficult issues, like debate comments or police shootings, you get what Milner calls the "null curriculum." “Students are learning something about priorities, about what it means to live in a democracy that would allow these things to happen,” Milner said. Ava Lamory, 13, jots notes during a class debate on the merits of election selfies at Environmental Charter School in Regent Square on Wednesday, Nov. 2, 2016. He said without addressing the emotional concerns of students, young people have a hard time connecting to their education. Teachers should start acknowledging these things, Milner said, and create rules of engagement that clearly define what is and is not acceptable. The 2016 election has challenged the premise of facts themselves, Milner said. What used to be taken for granted as a lesson about the electoral process or general democracy has been called into question. 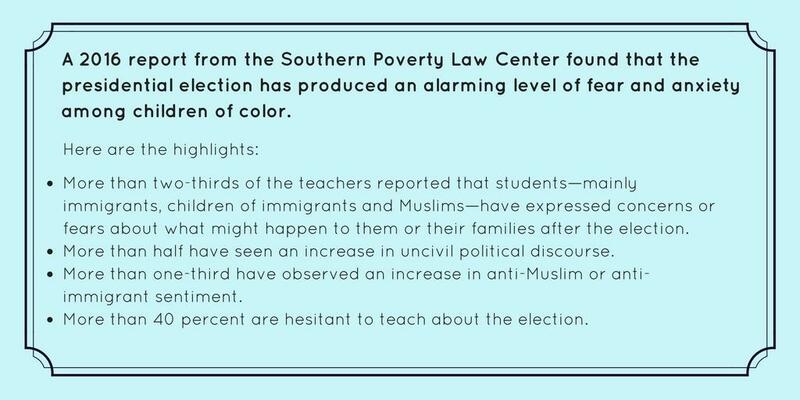 The SPLC study, published in April, showed 40 percent of teachers are hesitant to even talk about election. Many worry about backlash from parents and administrators, according to respondents. King said exposure to these politics are critical, especially for students whose personal identity is wrapped up in rhetoric, like young women and students of color. The students are fairly homogenous in their accepting ethos, but King said she welcomes diverse political opinions – as long as they’re voiced in a civil manner. 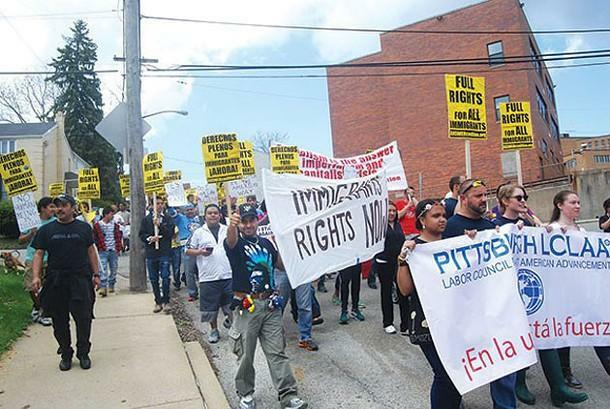 Despite its lengthy waiting list, the Environmental Charter School at Frick Park (ECS) was recently denied permission to expand by the Pittsburgh Public Schools (PPS) Board of Directors. ECS is a K-8 school created in 2008 to provide alternative education with a focus on the environment. According to ECS Director of Innovation and Development Nikole Sheaffer, the school has a yearly waiting list of 400 to 500 students, and sought to expand to serve that demand. Holding her newly minted citizenship certificate and voter registration application, Sumebha Gupta grinned. “I just wanted to give my vote to be counted,” she said. 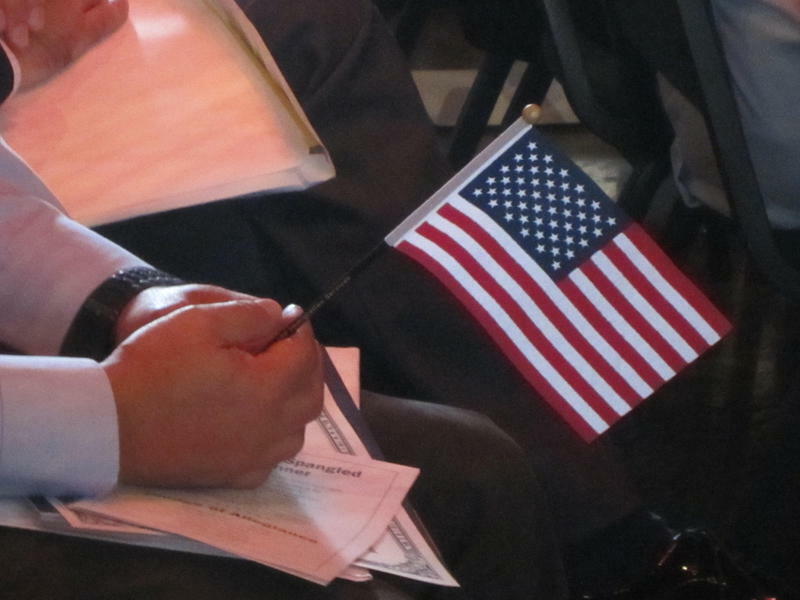 Gupta is one of 39 people who became a United States citizen this month, many of whom cited the upcoming presidential election as their major motivation. “I feel excited," said Omar Coker, originally form Sierra Leone. He said registering to vote was "definitely a must." In Pittsburgh, African American girls are three times more likely to be suspended than white girls and 11 times more likely to be referred the juvenile justice system. 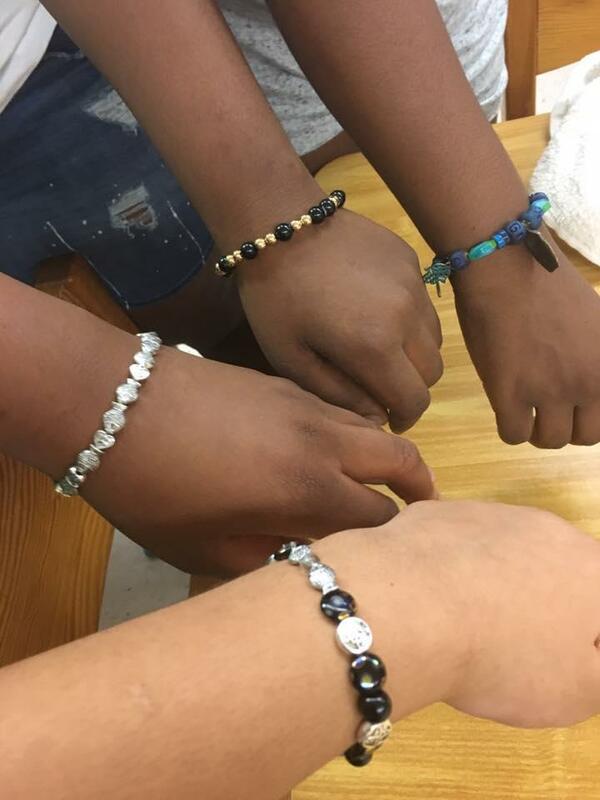 The statistics come from a new "State of the Girls" report by the University of Pittsburgh School of Social Work in partnership with Gwen's Girls, a nonprofit that helps young disadvantaged girls throughout the city. 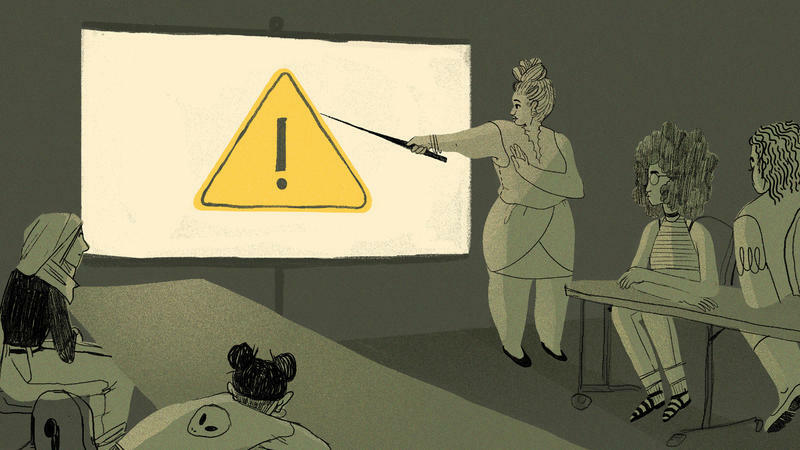 Trigger warnings, the heads-up that college professors give to students to let them know disturbing content is coming, have gotten a lot of attention as the school year has unfolded. When a University of Chicago dean wrote a letter to incoming freshmen this fall rejecting the idea of those warnings, it sparked a nationwide debate on the use of advisories in the classroom. 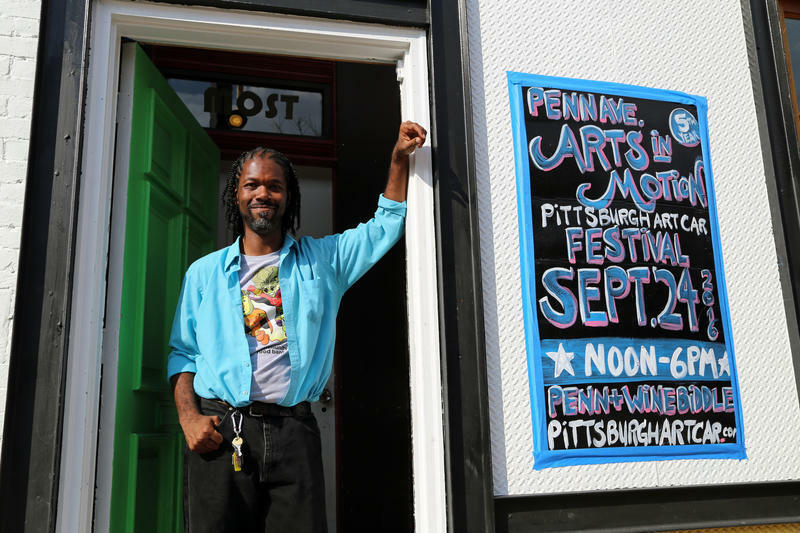 It took some wrangling to fit nearly 30 Catholic school eighth-graders into the basement space of Most Wanted Fine Art gallery in Pittsburgh’s Garfield neighborhood where St. Bede English teacher Becky Baverso took her comic book club to see artist Marcel Walker’s exhibit.